Stefan Iwasawa is a Vancouver Island University Graduate and a research assistant with the Centre for Coastal Health. He currently holds his degree in Biology and a certificate in International Proficiency. He has a wide range of interests and has worked on projects ranging from the Canadian Integrated Program for Antimicrobial Resistance Surveillance (CIPARS, Public Health Agency of Canada) to Livestock Movement Network Diagramming. 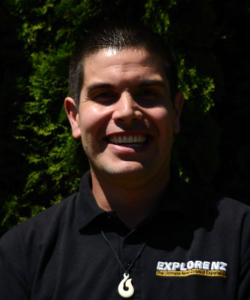 Stefan performs a blend of field sampling, project support work, and office administration. His field sampling skills involve sample collection, recording, submission and analysis. His project work has included web based literature reviews, network diagraming and large scale database manipulation. As an office administrator he has organized large scale conferences with international participation and webinars involving participants from across the country. Some of Stefan’s highlights with the CCH include his time working in the Yukon on a water diversion project that involved a fish health survey working out of a remote camp. He spends time in the field working on antimicrobial resistance surveillance with the Public Health Agency of Canada’s Canadian Integrated Program for Antimicrobial Resistance Surveillance (CIPARS) and FoodNet programs. Stefan led the development of a database that collects antimicrobial use in livestock. He has also organized and managed a large scale conference on Foot and Mouth Disease that involved over 200 participants. He was also a key player collecting data, contacting participants, and creating network diagrams for a British Columbia Livestock Movement snapshot project.